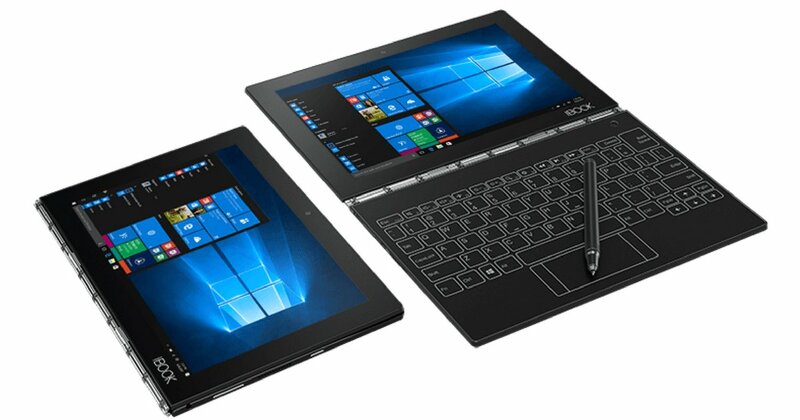 Lenovo at Computex 2018 has launched second-generation Yoga Book which is a Convertible notebook with dual screen. Lenovo Yoga Book features a dual display arrangement by replacing the traditional physical keyboard and touchpad setup with a second screen. The brand has announced that the newest Yoga Book offers an ‘enhanced inking experience’ and an ‘AI-enabled’ keyboard. The newest convertible from the brand is expected to come powered by high-end Intel processors. However, the brand didn’t reveal any further details about the new Yoga Book. First generation Yoga Book that was unveiled at IFA 2016, came with a flat keyboard featuring virtual keys that can double up as a writing surface. More details will be revealed later this year.